Our Board of Directors provides governing leadership for SFBBO, works with staff to raise money for our programs, and act as SFBBO ambassadors in the community. They serve three-year terms and meet on the third Wednesday of the month bimonthly from 6:30 – 9:00 p.m. They also create our strategic plan and serve on Board committees which meet throughout the year on alternative months, including the Executive Committee, Finance Committee, and Fund Development Committee. To learn more about serving on SFBBO's Board, please contact Executive Director Yiwei Wang at ywang@sfbbo.org. Jan is the Board Chair and leads the Board Executive Committee and Board Fund Development Committee. Jan flew from rural Minnesota to the Bay Area and found new birds and lots of open space instead of endless corn and soybean fields. He earned a B.A. in Mathematics from St. Olaf College and an M.S. in Operations Research from Stanford University. Jan worked as an Engineer for a number of high tech companies in Silicon Valley, including Motorola, ESL, TRW, Deskin Research Group, and ARGOsystems. An interest in hiking and birds led him to volunteer for SFBBO in the 1990s and work to preserve open space in Santa Clara, a project that eventually became the Ulistac Natural Area. Jan’s career in open space and volunteerism continued with a 12-year stint on the Santa Clara County Parks and Recreation Commission, docent and other work with Midpeninsula Regional Open Space District, the Santa Clara Valley Open Space Authority, Jasper Ridge Biological Preserve and as a fundraising volunteer and Board member with SFBBO. His love of birds also grew to include other flying creatures like butterflies, dragonflies and bats. Lynne is the Board Secretary and former Board Chair. She is a professor and the Environmental Studies Department Chair at San Jose State University. She teaches a wide range of courses including Introduction to Environmental Studies, Globalization and the Environment, the introductory and advanced courses in Environmental Restoration, and graduate seminars in proposal writing and methods. She also conducts research investigating human impacts to species and habitats and seeks effective methods to mitigate or eliminate those impacts. Specific research with colleagues and graduate students includes studies of the ecology and recovery of the Western Burrowing Owl (Athene cunicularia) in California, the effects of recreation on wildlife, and tidal salt marsh restoration in the San Francisco Bay. She was also Lead Scientist for the South Bay Salt Pond Restoration Project during its planning phase, from 2003-2008, directing the Project's science program and participating as a member of the Project Management Team. She received her Ph.D. in Ecology from the University of California, Davis and her undergraduate degree in Biology from Goucher College in Towson, MD. Until early 2018 Marty Michael was Senior Director of Technical Support and Training at Synopsys, where he managed their worldwide technical support and training group and previously their Field Application Engineers in Silicon Valley and the Pacific Northwest. Prior to that he worked at National Semiconductor doing detailed architectures of electronic chips, managing chip design, chip verification and chip validation groups. He has also managed operations at a telecommunications company and has done analog design at a bio-medical start-up. In addition, Marty has also volunteered as a docent at Henry Coe State Park and with other local charities, including Second Harvest, RAFT (Resource Area for Teaching), City Team, and Sunnyvale Urban Forest, and maintains the trails on a 13.5 acre Open Space preserve in his neighborhood. When not working he enjoys time with his family, hiking, flying sailplanes, traveling and doing photography. Marty has an M.S in Cybernetic Systems, a B.S. in Electrical Engineering, and holds 10 patents related to personal computers and communication. Leah joined SFBBO’s board after reconnecting with a childhood friend who happened to be one of SFBBO’s waterbird experts. Leah has served as an attorney and policy advisor on environmental matters, water policy, and public health for nonprofit entities, public agencies, and elected officials. She is passionate about environmental sustainability and appreciates the work SFBBO does to develop science to better understand climate change and mitigate its impacts through habitat restoration. She is mother to a college student and a preschooler, and spends her free time outdoors and volunteering on progressive causes. She received a law degree from Duke University and a B.A. in Biological Sciences from Smith College. ​Anna serves on the Board Fund Development Committee. 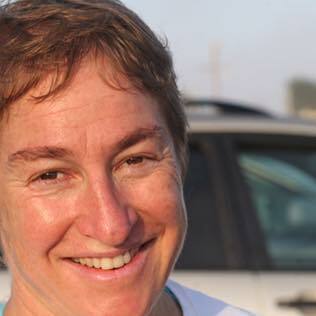 She is Senior Research Fellow at Ocean Conservancy, working to support Ocean Conservancy’s science-based programs through research, analysis, and science support. Previously, she was Associate Director of Ocean Conservancy's Knowledge Management Program, where she worked to help develop solutions to complex ocean issues through effective use of knowledge and networks. From 2009 to 2013, she was Senior Manager of the Coastal and Marine Spatial Planning program at Ocean Conservancy, working on successful implementation of the United States National Ocean Policy through regional coastal and marine spatial planning (CMSP). She is currently focusing on issues of ocean climate change, adaptation, and resilience. In addition to her work on ocean policy, Anna’s past research looks at the intersection of environmental policy, science, and society, and, in particular, issues of democracy and public participation in science. She has published articles on the role of subnational government in regulating genetically modified organisms (GMOs) in Europe and the United States. Anna comes by her interest in subnational government organically, having been an elected official in Colorado for ten years. She served on the Telluride Town Council from 1990 to 1992, then was elected to two consecutive terms as San Miguel County Commissioner from 1993 to 2001. 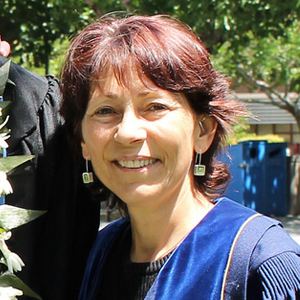 Anna earned her Ph.D. in Environmental Studies in 2011 from the University of California at Santa Cruz. Her undergraduate studies were in Russian and Soviet Studies at Harvard University, where she earned her B.A. in 1988. Christine joined SFBBO as volunteer colonial waterbird monitor in 2016. She has a degree in biological anthropology from UC San Diego and masters in Biology where she studied chemical communication among polar bears. Christine worked in research for nine years at the San Diego Zoo’s Institute for Conservation Research specializing in the breeding behavior, reintroduction, and translocation of endangered species such as the San Clemente loggerhead shrikes, burrowing owls, Stephens’ kangaroo rats, polar and panda bears. In 2016, she became a California naturalist, which was an excellent way to combine her interests in ecology, birding, reading, gardening, volunteering, and citizen science. Larry has supported SFBBO for the past 15 years, donating both money and wine for SFBBO special events. His parents were Sierra Club members, so he spent most of his childhood vacations in the woods, including five summers with his grandparents roaming freely through redwood forests. Even while he was married and raising a child he loved to enjoy the outdoors and often took his family camping. It was later in life, after retiring from his high-tech career, that birding came into his life. 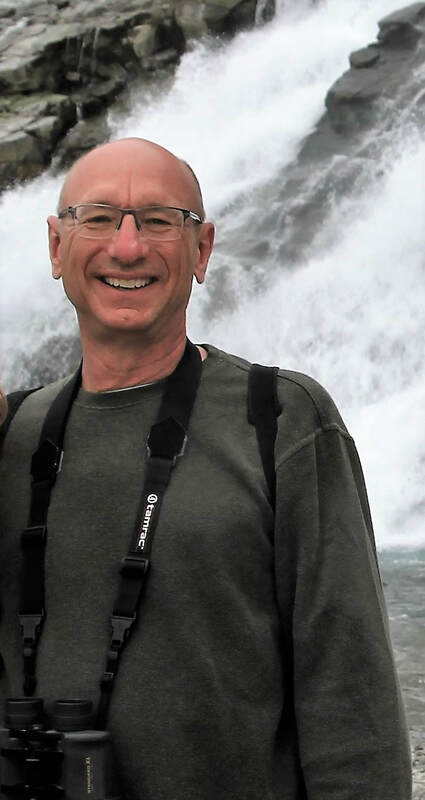 During the past 25 years he's become an avid birder, taught science to students in San Jose schools as a volunteer with the nonprofit Environmental Volunteers, taught beginning birders at Bay Area adult schools, and also became a strong advocate for the environment.